Splash In September: Shop Local & Make a Splash! Who’s ready to do a giant cannonball into the new Geneseo Park District’s Outdoor Pool?!? Everyone? We knew it wasn’t just us. Our staff and their families are just as eager as you to enjoy the splash pad, zero gravity pool, and defiantly the drop slides! Village Home Stores is excited to announce a way you can shop locally and help fund this amazing project for our community! We’re calling it “Splash In September” and all you have to do to contribute is shop! 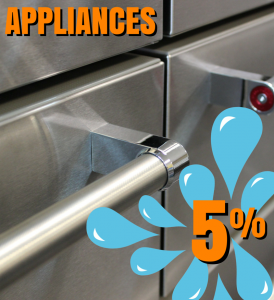 During the entire month of September 2015 all Appliance and Floorcovering sales purchased and paid for will be “pooled” together and 5% of those sales will be matched in a donation to the Geneseo Park District Foundation. Haven’t had a chance to see just how incredible this pool will be? Check out the Park District’s page here for up-to-date information and a site map of the entire new space and all of the features it will include. You will see why we are pretty excited to help fund this new pool. The Park District is breaking ground on this new project this week! Let’s help “splash” them with a huge donation. We carry Whirlpool, Maytag, KitchenAid, Amana, Viking, and Sharp appliances. Have you had a chance to stop in see our newly remodeled Appliance showroom? We have opened up the entire lower level to make more space and an easier experience for you when you visit. Don’t forget that Village Home Stores is a member of an 11 billion dollar buying organization. The majority of our appliances are priced at or below home improvement store prices. You get a Low Price Guarantee paired with exceptional service during the selection process and long after the product has been installed at your home. 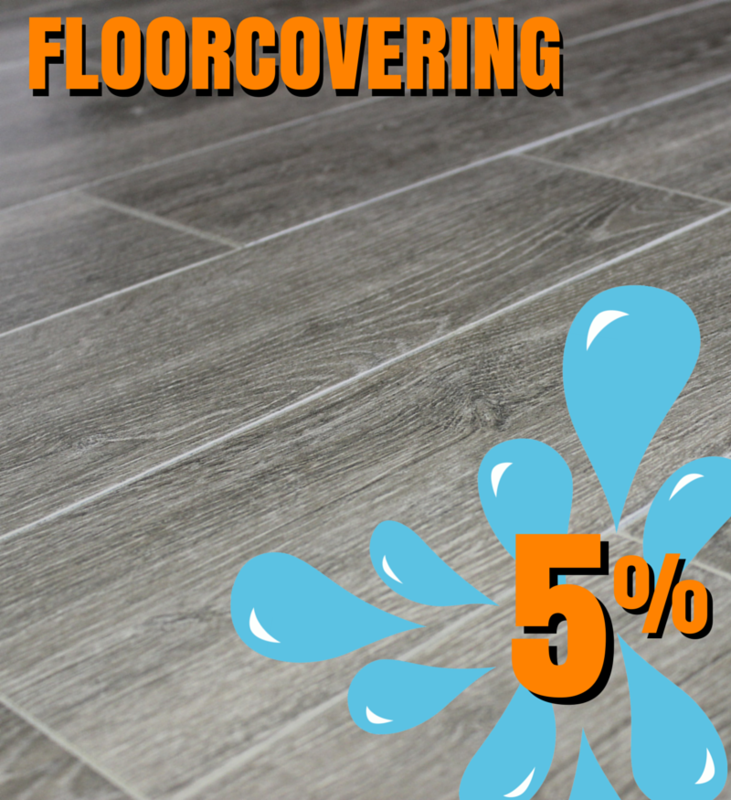 Village Home Stores will also match 5% of all September purchases made and paid for from our rapidly-growing Floorcovering department. Our selection of fantastic products continues to grow to offer you a large selection of many types of materials for your project. New flooring for a single room, or an entire home. We can help. Plus don’t forget that kitchen backsplash project you have been meaning to complete. 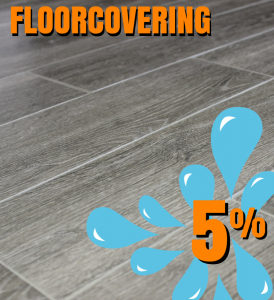 It may not be a “floor” but all of our tile comes from the Floorcovering department and will still be considered part of our “pooled” amount to donate from. We have had the privilege to see just how incredible this community is for over 30 years. You have supported our store and we are so excited for all of the great new reasons why Geneseo continues to be a wonderful place for us to call “home” for our Home Store. Every purchase made locally keeps $ you spend within your community. This “Splash In September” program helps give back even more to our community. Spend Local. Enjoy Local. 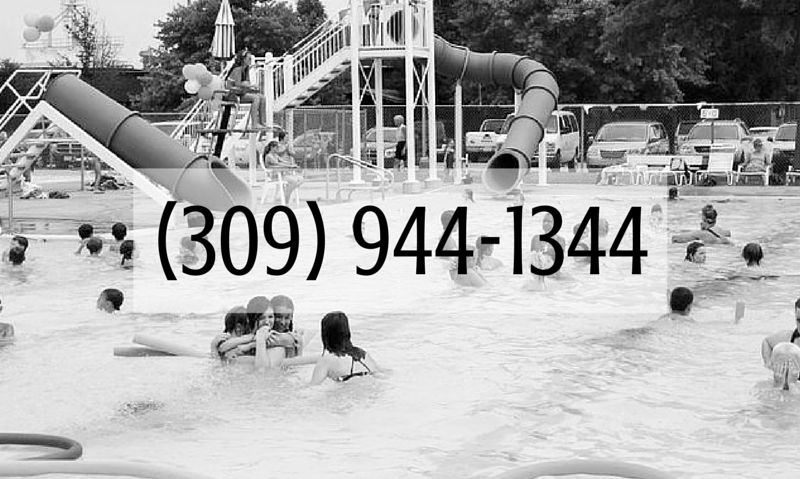 We plan on enjoying that new pool and are excited for you to help us fund it. 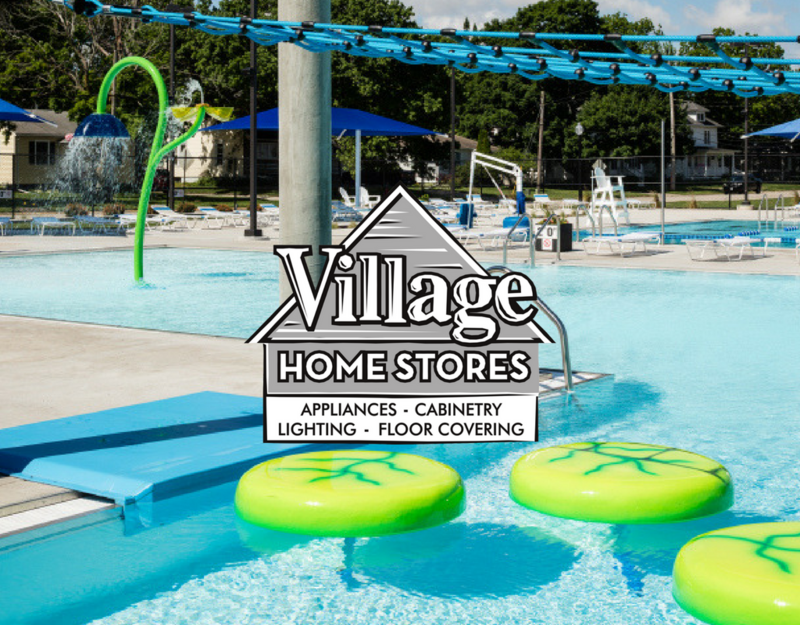 Village Home Stores is excited to announce their new partnership with WQAD New 8 and a new weekly program called the Village Home Show. We’ve been talking about the Village Home Show for a few months now and we are finally ready for the show to go on air! We are so excited to show you how the show has turned out that Village Home Stores has rented out the Central Theatre for a special viewing of the first episode and you are invited! Come watch a special sneak-peek premiere of the first episode this Thursday December 11th. Central Theatre located in Downtown Geneseo right down the street from our store at 111 N. State Street. Doors will open at 5:15pm and the 30 minute show will air at 5:30pm. Beginning December 21st, the Village Home Show will air Sunday mornings at 11am on WQAD New 8. The Village Home Show will feature before and after stories of kitchen and bath remodel projects from right here in our area. Learn about the latest industry trends, hear from expert guests and see beautiful spaces transform right before your eyes. The projects featured on the Village Home Show are part of the Project Management program available from Village Home Stores. 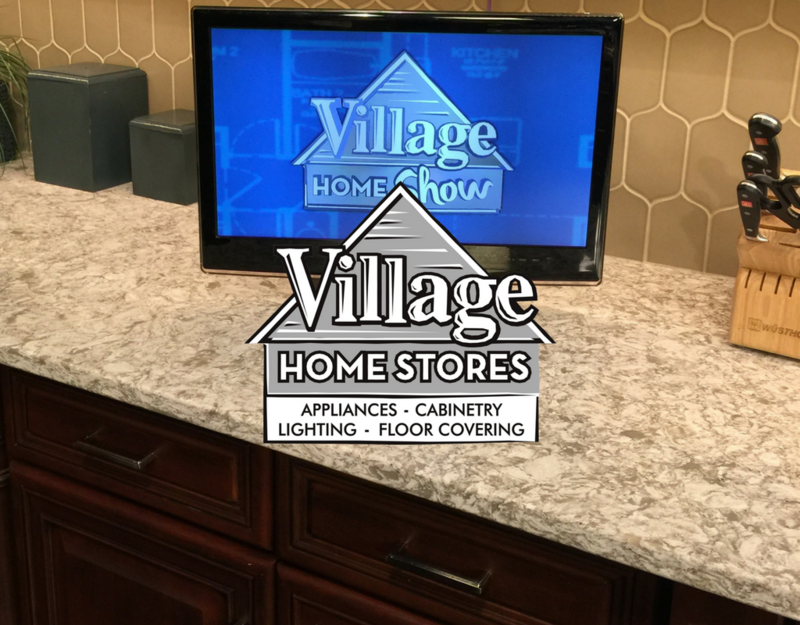 Kitchen and bathroom remodels are managed from start to finish and you can watch and get inspired every week on the Village Home Show. RSVP on our Facebook page here. We hope to see you Thursday night! Preheat oven to 350 degrees and spray cookie sheet with cooking spray. Unroll dough and cut into two squares slightly larger than brie round. Cut off corners of squares. Use excess for decorative cut-outs if desired. Cut Brie crosswise into two layers. Place bottom layer onto one section of dough placed onto cookie sheet. Spread cranberry sauce and pecans atop and cap with top Brie layer. Place second dough layer atop your stack. Connect dough along side of Brie by pinching closed and brush dough with beaten egg. Add any decorative cut outs you would like. We liked how our stars hid the seams where we connected the dough. Be sure to slit top layer of dough in center before baking. Brush entire bake with egg. Bake 20-25 minutes until golden deep brown. Let stand 15 minutes. Serve on platter with crackers and fruit slices (pears pair perfectly with brie). We loved participating in the Chamber of Commerce bus trip and any excuse to bake up something delicious like this to share at the store is a great day! Happy Holidays! 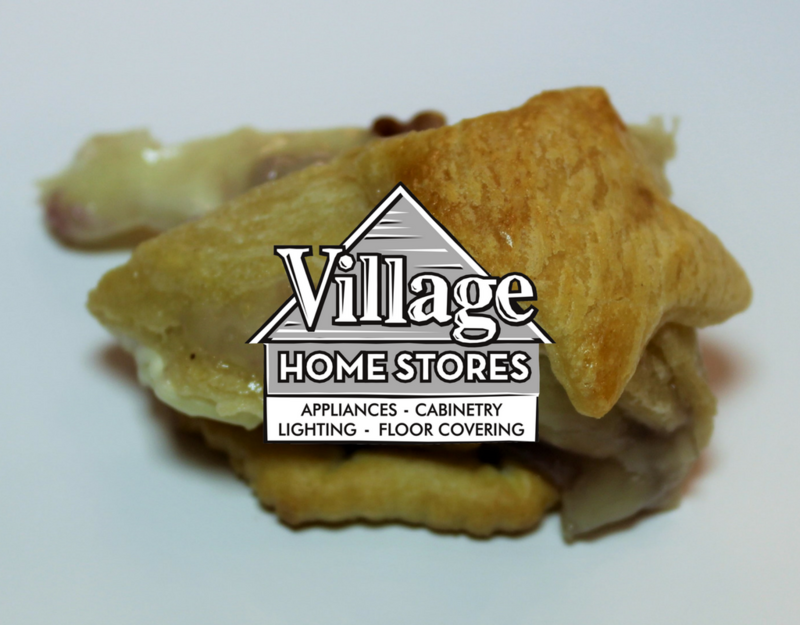 Village Home Stores: Celebrating 30 Years! It’s hard to believe that our store is celebrating 30 years of business this year! 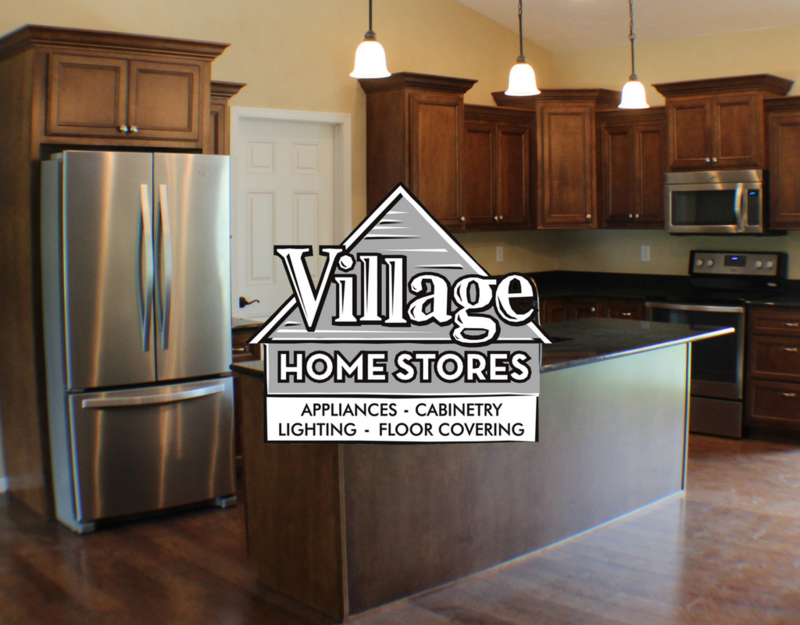 Village Home Stores could not have become the premier locally-owned Home Store without one key element, YOUR BUSINESS! Our surrounding areas have embraced our products and services in such a way that we are so excited to continue to meet the growing needs for anyone building or remodeling their home. Our goal is to gain lifetime-long customers and we can’t wait to be here for you 30 years from now. Our Full Remodel Project Management program has grown tremendously and we know that is due to your word of mouth recommendations which we value so much! What is your favorite memory from the original store in Cambridge? What are some interesting memories of our current building in Downtown Geneseo? Within the last 5 years what has surprised you the most about Village? What are your hopes for the next 5 years for Village? Village Hardware opened its doors in 1984 just a few miles South from our current showroom. 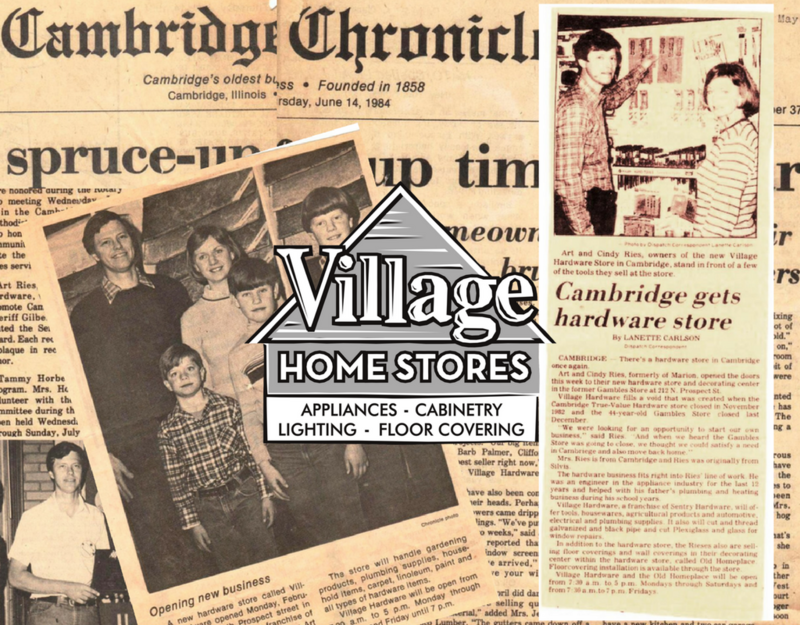 From 1984-1998 Village Hardware grew its Cambridge, IL location to meet the growing needs of customers building and remodeling homes in our area. 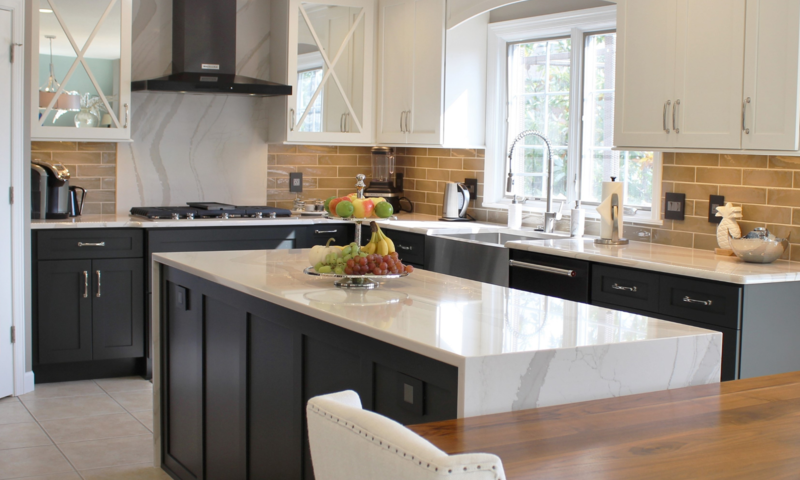 Offering Cabinetry and Appliances expanded the business to provide more of those materials and eventually lead to the “Home Store” concept in place today. In July of 1998, Village Maytag opened up Downtown Geneseo, IL and shortly after in 2000, Village Cabinetry opened right next door. Offering sales & service of Home Appliances and now Cabinetry and Countertops right next door, the Geneseo showroom continued to see growth and added Lighting and now Flooring departments as well. We are so thankful for the past 30 years and look forward to seeing where the next 30 brings us at Village Home Stores. Please be sure to join us to celebrate our latest expansion of the showroom this Thursday the 9th of October at noon. There will be food and refreshments to follow. A 3 Day Sale Event will be going on Thursday-Saturday and huge savings in all departments. Don’t miss out on your opportunity to save $500 on a $5,000 purchase on top of added discounts and promotions throughout the store. Village is so thrilled to have been a part of the 2013-2014 Geneseo, IL Building Trades home that is now on the market! This program is one of our favorite ways to get involved with the community because it helps make Geneseo greater while teaching skills and trades to the future homeowners in our community. Starting in the mid 1980’s, the Geneseo Building Trades course has provided hands-on opportunities for around a dozen High School students to learn about the entire building process. There was about a 10 year span of time the program saw no activity or interest but within the past few years it has found new life which excites us alongside Geneseo High School and the students involved. This 1675 sq. ft. ranch-style home has 4 Bedrooms, 3.5 Bathrooms and a 2-car Garage with Workbench. There is 907 sq. ft. of finished basement and the home sits in a quiet neighborhood seconds from Fareway. Take a tour with us of this amazing open floorplan and consider the opportunity to own a home for your future built by the future of our community. Of course we have to start with the kitchen because we are a bit partial to it having designed it. Beautiful cabinetry, granite countertops with an undermounted sink, and a Stainless Steel Whirlpool appliances make this kitchen great. There are 4 bedrooms measuring 13′ 5″ x 13′; 12′ x 11′; A Master Bedroom 13′ 9″ x 15′ 8″ with a large walk- in closet 7’6″ x 10’5″ and attached Master Bathroom. The Lower Level of the home has the 4th Bedroom with access to a full Bathroom. The Master Bathroom and Lower Level Bath each include a lot or storage and the tiled tub in the Master Bath is gorgeous. Access to the 1/2 bath is in the large Laundry Room upon entry from the Garage. 9′ Ceilings throughout this home with custom millwork, gas fireplace, Anderson Series 200 windows, carpet, tile and wood flooring. This Home is listed for $230,000 and will certainly not be on the market long. A large Living Room and Office in the Lower Level make this layout ideal for many varieties of families. A lot of open space in the main living areas and a quiet escape to the Master Suite. The Lower Level living space. Would be great for a multi-generation family or even an older child or children who may need more privacy. If you or someone you know may be interested in this property please contact Tim G. at (309) 945-0450. Thank you again to the Geneseo Building Trades students for all of their hard work. We can’t wait to see what you work on this school year!